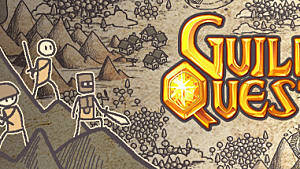 One of the most anticipated features for Guild Quest since the beginning is transmutation. After a long and eager wait, players are finally able to use the system now named the Forge. With the implementation of the new mechanic came a total of 15 recipes to discover. With the forge, you can use all your duplicate cards that you have collected through boss chests and turn them into more useful and higher grade cards. In this guide, we will cover what cards are needed in each recipe, what card you will get in return and how much the forging will cost. 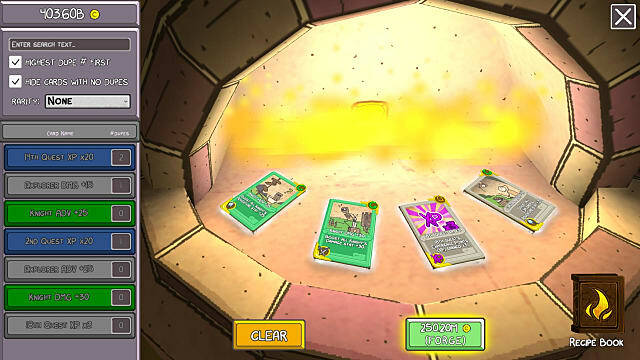 Note: The cards must be in the exact order as shown in the recipe to successfully be forged. Only the rarity of the card is used in a recipe. To simplify things we will cover the recipes in letters to indicate the rarity required in each one. Common will be "C", Uncommon "U" and Rare "R". 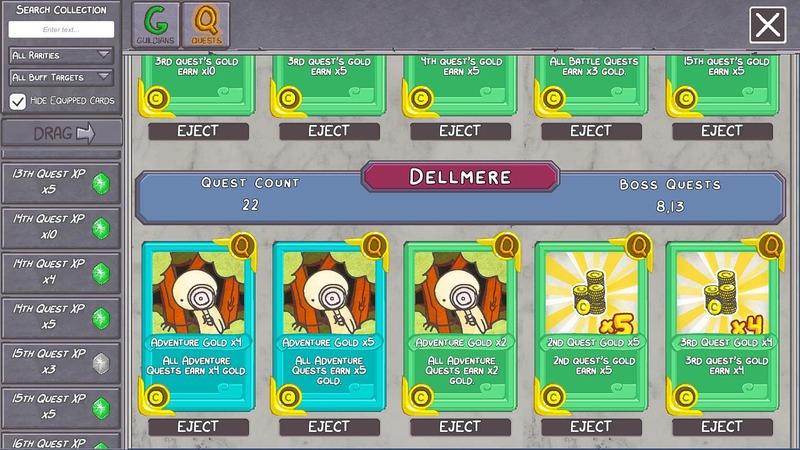 Note: All forging attempts do have a small chance of producing a higher rarity card than a recipe is intended to. 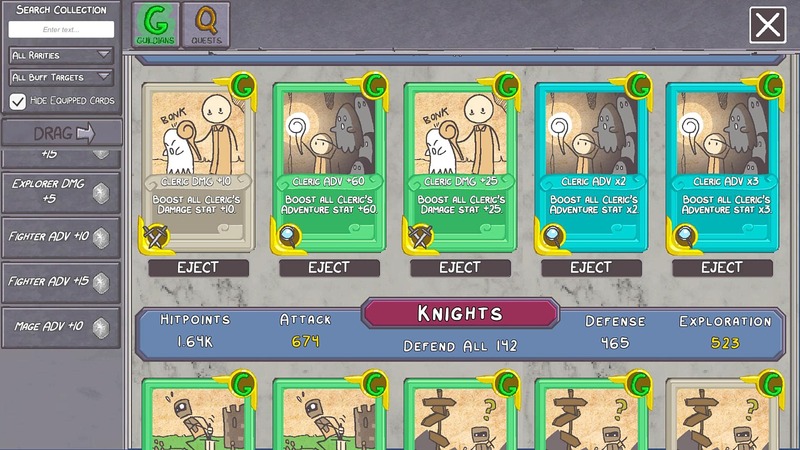 For example, in a recipe where you will forge a rare card, it is possible for you to obtain an epic card. 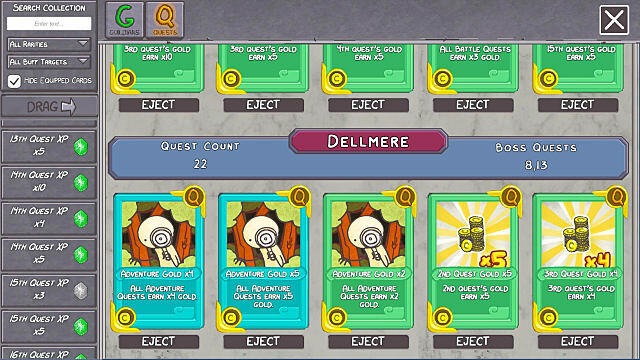 And there you have it, all 15 recipes that are currently available for the forge in Guild Quest. Now go guild master and put all those duplicate cards you have collected to good use.